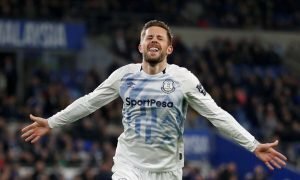 Collapse: The 11th hour transfer loss that should still annoy Everton fans - Opinion | The Transfer Tavern | News, breakdown and analysis on all things football! It will surely hurt Everton fans to learn how close they were to signing South American class-act Ever Banega in 2009. 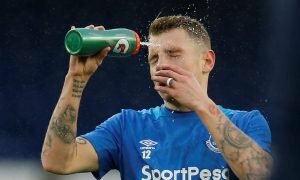 The Toffees were experiencing some of their most positive years to date towards the end of the previous decade under David Moyes, who seemed to truly understand what it was to follow the blue end of Merseyside; the plucky underdog side who fought until the end; who really took the battle to their opponents and won neutrals hearts. If ever there was a time to state the club’s positive future intentions it was then, and what a way to do it. Banega had actually already spent a year with Atletico Madrid on a season-long loan when the Merseysiders stepped up the pursuit to sign him on a permanent basis. Likened to Mikel Arteta, who was quickly developing into a club legend at this point, the Argentine was quality with the ball at his feet, awe-inspiring when playmaking, and a real talent from set pieces. For all Everton’s tenacity, of which there was plenty, they were seriously lacking in the technical department, which is why the Argentine was such a huge loss when (as per the Daily Mail) the deal fell through at the 11th hour after securing a work permit for the then 21-year-old. Tim Cahill was a goal scorer yes, and a very good one at that. Marouane Fellaini had his perks as well, though he has always been shot of technical ability in truth. 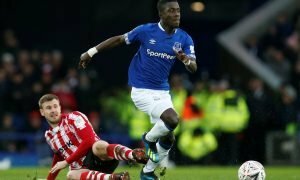 This left the Leon Osman and Steven Pienaar – two quality players in their own right but missing that spark Banega had in abundance. This is what made the botched transfer so disappointing. Banega would eventually find his feet at Valencia and made 185 appearances in all competitions before moving to La Liga rivals Sevilla. Here he would enjoy his best football. The gifted midfielder spent two years at the club, helping the side toward consecutive Europa League titles, surprisingly leaving on a free just two years after joining to join Inter Milan. A year later he was back in Spain, where he remains a Sevilla player with 189 games to his name.